InC - Local Comedy ‘When Ghost Meets Zombie’ Reveals New Poster and Trailer! Home / Everything Else: Article / Local Comedy ‘When Ghost Meets Zombie’ Reveals New Poster and Trailer! Starring first-time lead actors Nathan Hartono and Ferlyn Wong (who goes by her stage name Ferlyn G) in the upcoming local quirky comedy, ‘When Ghost Meets Zombie’, the duo, together with co-star Jesseca Liu and director Han Yew Kwang, were present at the launch of the movie’s trailer and poster. 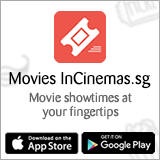 Also starring an ensemble of well-known local artistes such as Jeremy Chan, Fann Wong, Gurmit Singh, Andie Chen, Kate Pang, Jack Neo, Constance Song and more, Singapore’s first ghost-zombie romance comedy will hit InCinemas Valentine’s Day next year! The movie tells the story of Pong (Nathan), who turns into a zombie when saving his town from a disaster. He led a mechanical and aimless life until a female ghost named Zhen Zhen (Ferlyn) came into his life. Zhen Zhen, whose pet phrase is “If you have no dreams, you are no different from a walking zombie.” believes one should live life to its fullest. The hilarious drama unfolds when Zhen Zhen possesses Pong to fulfil her pageant dreams and forces him to join a “Mr Perfect” competition. Hartono shared at the media conference that he enjoyed the filming process and that he ‘had it lucky’ that his debut feature film was with a “very fun team”. “I accepted this job because it just sounded so interesting! The story was so strange that this has to something fascinating or fun to work on because whoever thought of this crazy story will be fun to work with,” he shared. Both singers will lend their voices to the movie’s soundtrack. Hartono will also compose 2 songs - 1 of which is a duet with Ferlyn G. The soundtrack will be available for iTunes pre-order on January 18th and arrive at all digital platforms on February 15th, 2019, a day after the film’s official release. 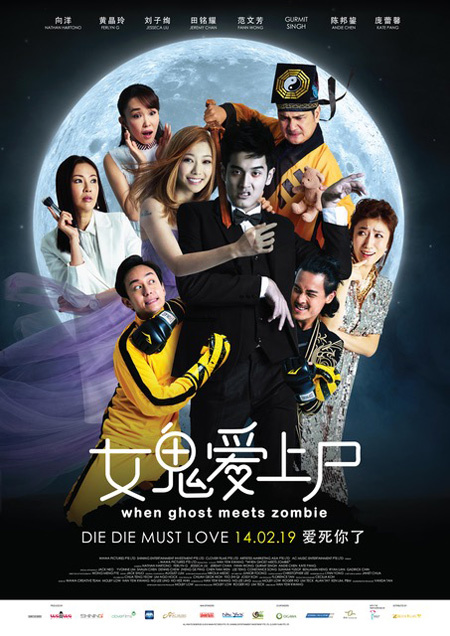 When Ghost Meets Zombie opens InCinemas 14 Feb 2019! 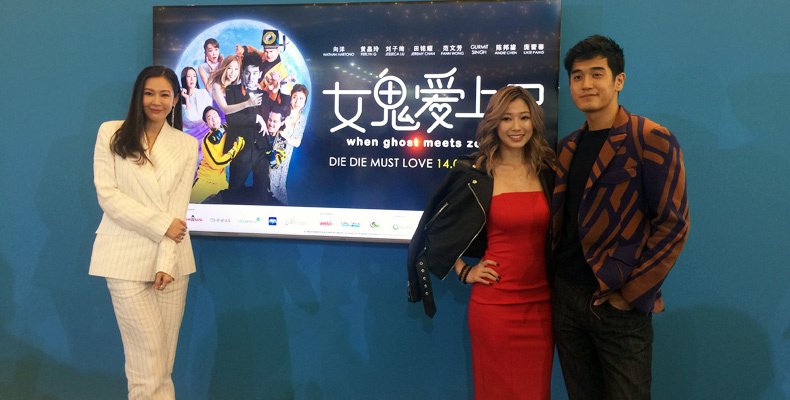 Nathan Hartono and Ferlyn G to debut in When Ghost Meets Zombie!